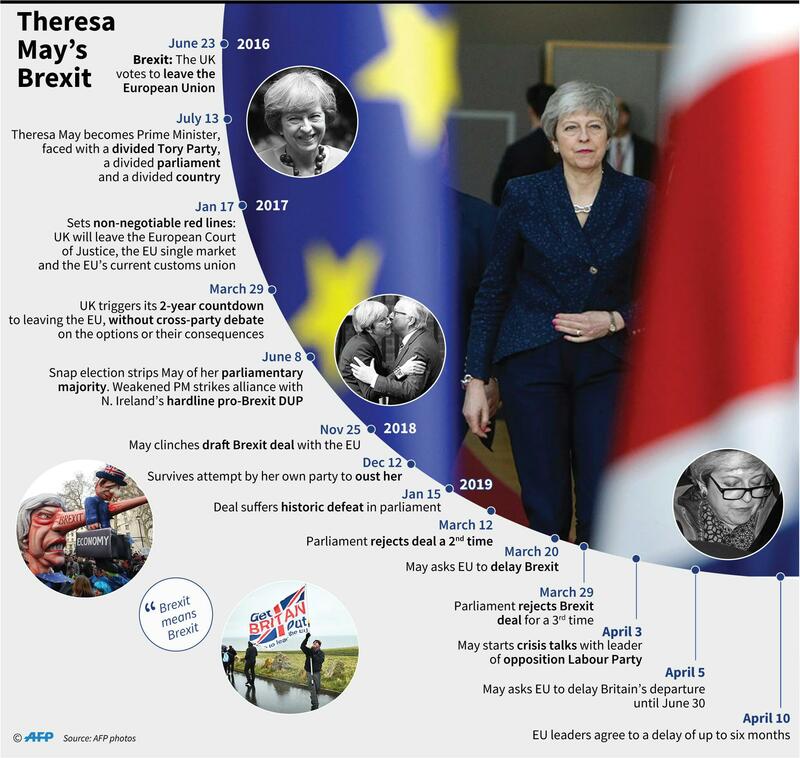 London – After British Prime Minister Theresa May secured a delay to Brexit at a crucial EU summit, where is the whole process heading? EU leaders agreed to shift the Brexit deadline to October 31 but said this could be brought forward if the British parliament ratifies May’s divorce deal before then. May is hoping discussions with the main opposition Labour Party will yield a compromise that means MPs will vote through a Brexit deal in the coming weeks. Labour has insisted that it wants Britain to remain in a customs union with the EU even after Brexit but the government says this would not allow the country to strike free trade deals with third countries. May could also hold a series of votes in parliament on different Brexit options to try and find a majority, although the EU has insisted it will not re-negotiate the basic terms of the divorce agreed with Britain. If MPs approve a deal, Britain would not have to go through with holding European elections on May 23 and an “orderly Brexit” would take place on June 1. Under the terms of the deal agreed at the summit, if Britain does not hold European elections it would still have to leave on June 1 even without a deal. If Britain intends to stay in the EU beyond June 1 it would have to hold European Parliament elections. 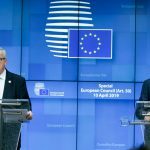 Under the terms of a break clause agreed on Thursday, Brexit can take place on the first day of the month after Britain ratifies the divorce deal. If MPs were to approve the deal in June, the departure date would therefore be on July 1 and so on. If no deal is agreed by then, the new deadline for Britain to leave the EU is October 31 — just before the new European Commission starts on November 1. EU leaders have agreed to review the status of Brexit at their next scheduled summit on June 20-21. A longer delay up to October 31 opens up options such as holding a general election, a Conservative Party leadership election to replace May or, perhaps, a second referendum. The most realistic possibility is a leadership election. Brexit was originally meant to happen on March 29 and has now been delayed twice and Brexit hardliners within May’s own Conservative Party have urged her to resign. Under the party’s own rules, however, MPs cannot trigger a formal vote of no confidence in the prime minister until December 2019 because they already attempted one in December 2018 and failed. A second referendum is also a possibility and it has been raised by the Labour Party in its discussions with the government over a compromise even though the government has repeatedly ruled it out. Britain has the unilateral right to stop Brexit at any moment by revoking Article 50 — the formal procedure for member states that want to leave the EU. 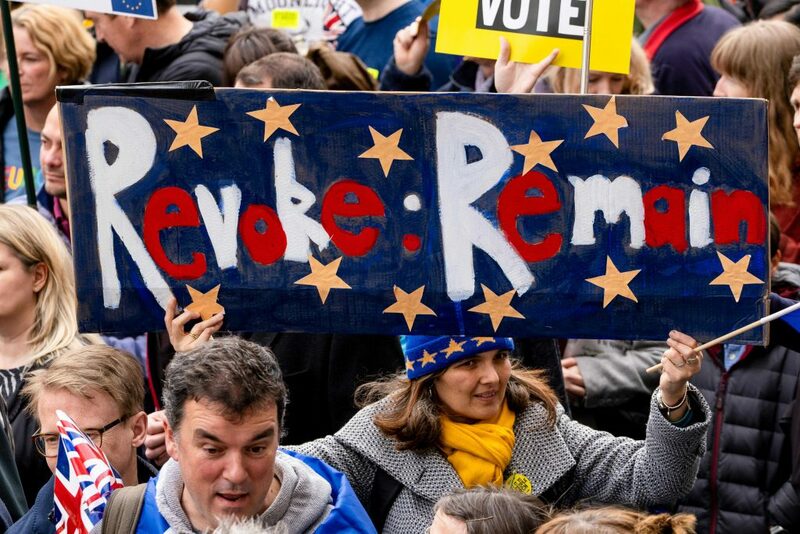 Three years after Britain voted to quit the EU by 52 percent and after repeated promises by the government that it would honour the result of that vote, stopping Brexit is seen as a political impossibility. Even so, an online petition asking the government to do just that garnered more than six million signatures. 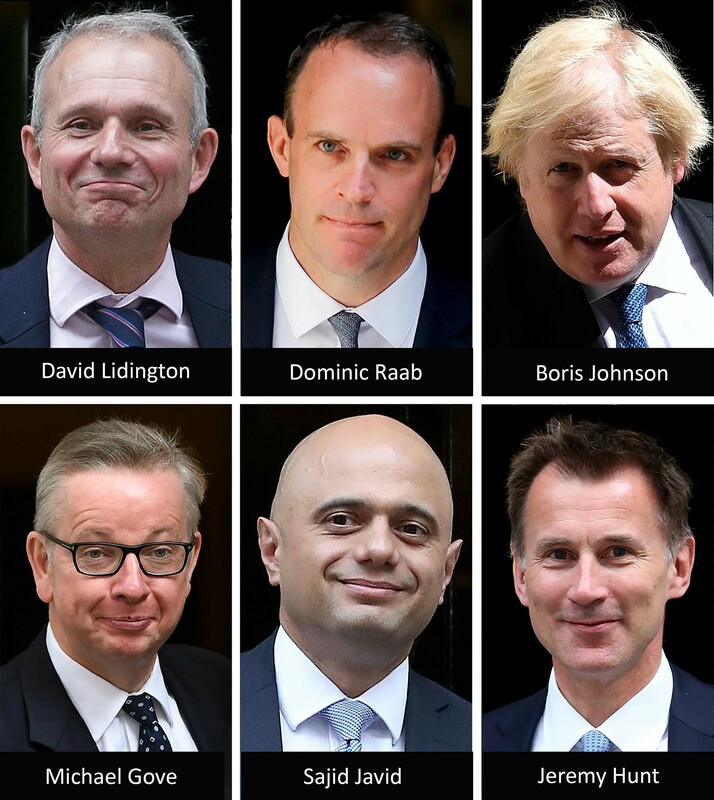 It is a scenario often brought up by Tusk and was included in the EU summit conclusions on Thursday which stated: “The United Kingdom has a right to revoke its notification at any time”.